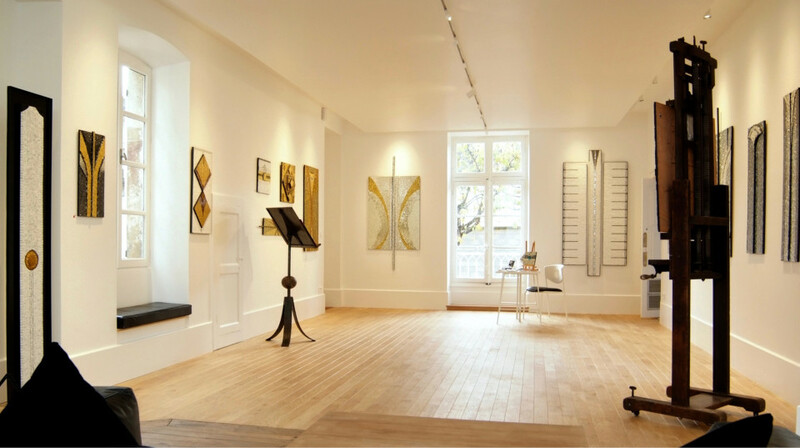 The gallery is beautiful - large and luminous, with a bespoke entrance way for the visiting public. It is illuminated by the changing light of Burgundy during the day and spotlit in the evening. 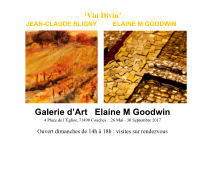 It is a gallery specially designed to exhibit the light filled works of Elaine M Goodwin. 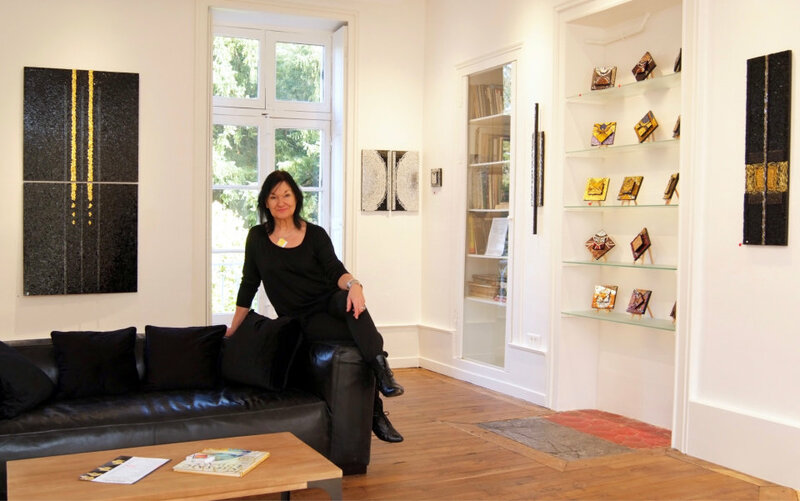 The gallery gives a warm welcome to all visitors, the curious and the conoscenti. The gallery shows one or two exhibitions a year. 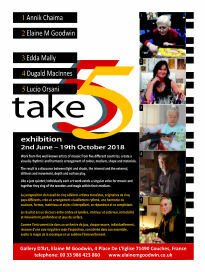 The current exhibition is a very exciting one. 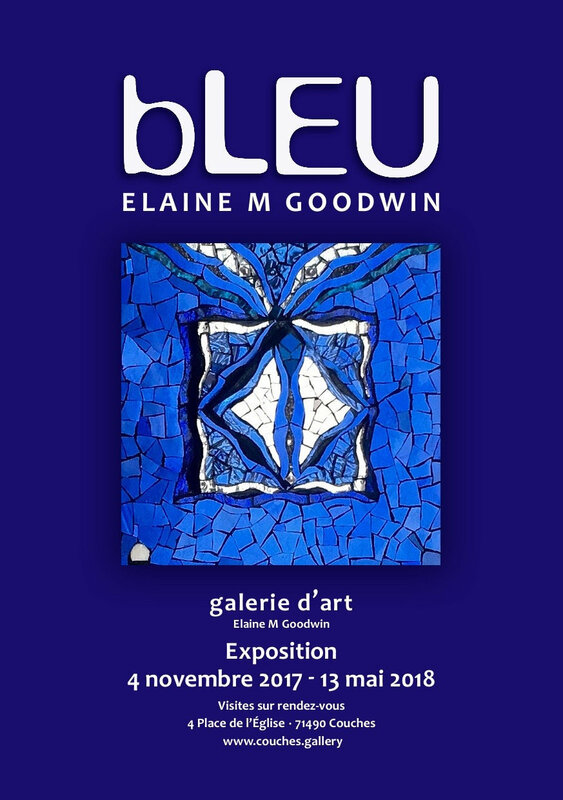 The title is Ouverture Marocaine and features work Elaine did in the atelier of her beautiful riad in the heart of Marrakech from 2001 - 2016. Her tradtional home was open to the skies with a central fountain and with rhythmically arched terraces. It inspired Elaine in a new way of looking at life and added colour to her muted silvery English palette. The work in the exhibition reflects the colour and vibrancy of living in the old medina of the city of Marrakech. 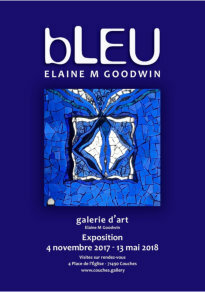 Using the image of the door, il bab and the window, the chemassiats, Elaine reflects and explores their physical and metaphysical attributions. The door evoking a ‘passing through’ from one situation into another and the window evoking a ‘looking through’. 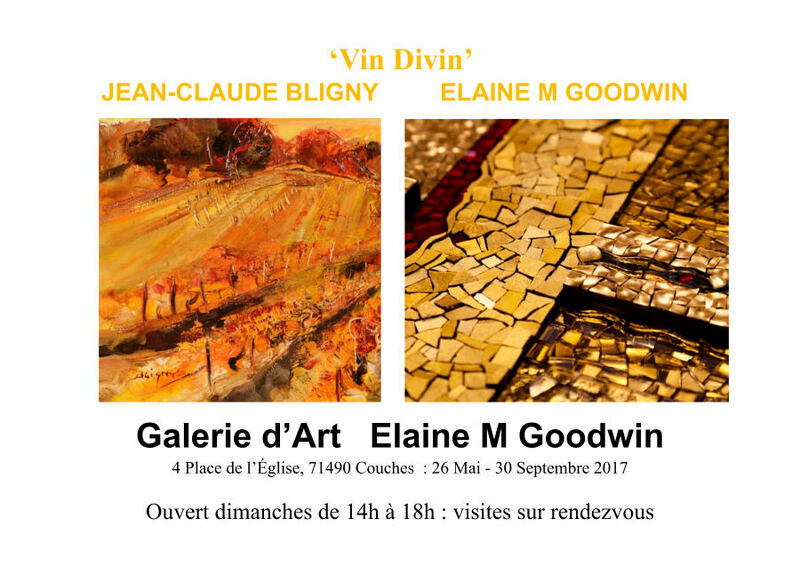 She has invited the well known painter and calligrapher Mohamed Abaoubida from Marrakech to exhibit in collaboration with her. His lyrical watercolour work delights the eye and lifts the spirit. 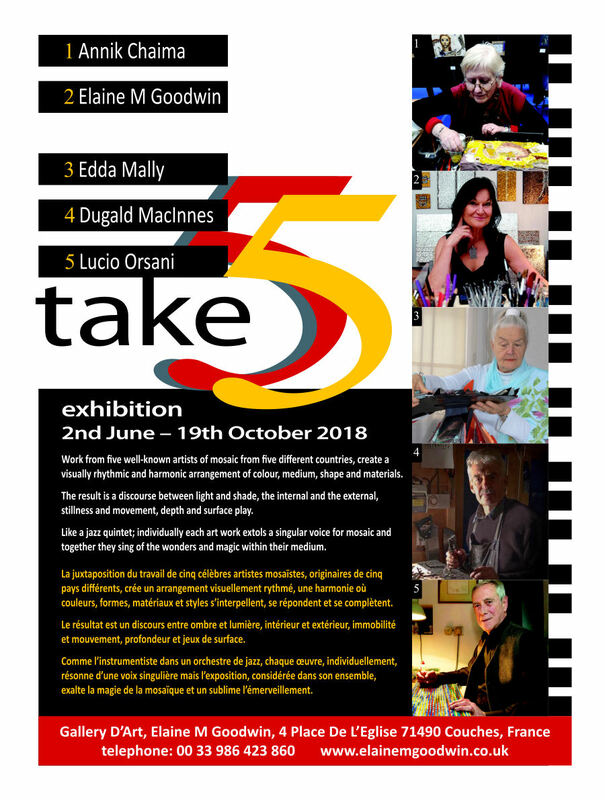 The exhibition opened on Saturday 3rd November and runs until May 2019.